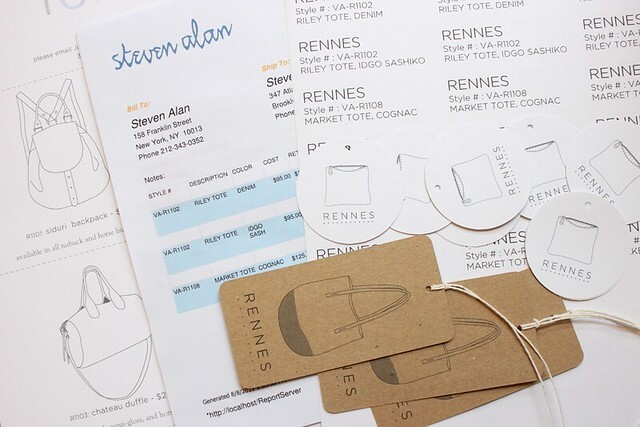 I'm excited to tell you a few select totes are now available at the Steven Alan store in Brooklyn (the one on Atlantic Ave)! If you are in the area, please stop by and have a look. I've spent most of my time this past month getting a few wholesale orders together - that on top of a few other things, both work and personal, have put me a bit behind schedule. I don't think that I will be putting out a "collection" like this past summer, but hopefully in about a month or so there will be some new bags in the shop. As always, if you are interested in a bag or pouch not in the shop at the moment, email me and I'll see what I can do. Thanks guys, you're the best!